A century ago this year, 1918, a little noticed property sale near Covington would have a far-reaching impact on local education. 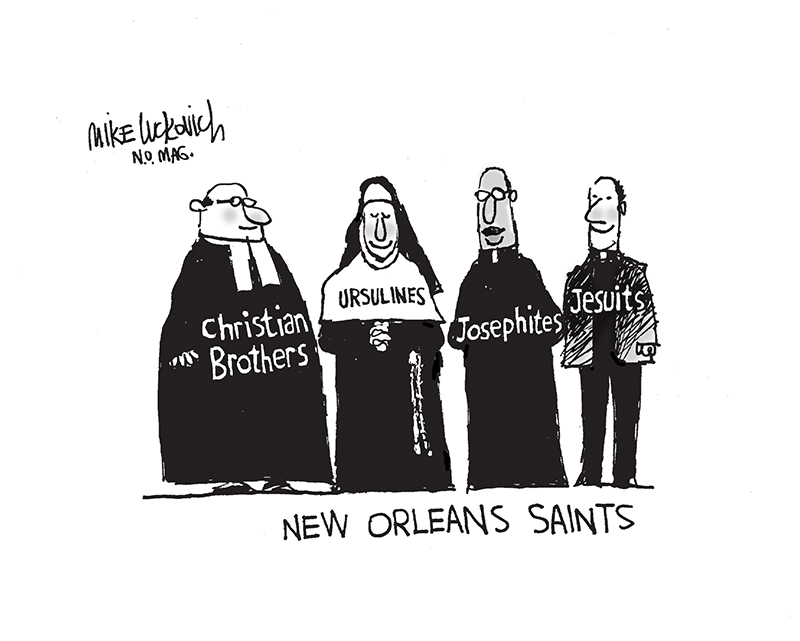 Within the century to follow, the LaSallian Christian Brothers would establish quite a presence in New Orleans education. Among the schools either owned or operated by the order are De La Salle High in uptown; Christian Brothers middle school in City Park and Rummell High School in Metairie, all described as operating under the “LaSallian” tradition which traces back to the founder with emphasis on faith, quality and respect, among other values. We mention Catholic education because in this the year of the Tricentennial it is certainly an important part of the city’s story. The religious orders made quality education available at tuitions cheaper than non-sectarian private schools, partially because the educators who belonged to the orders worked for little salary. On the other hand, the argument has been made that Catholic education undermined stronger support for public schools. Parents who were paying for one school system were seldom willing to pay taxes to support another. We suspect, though, that without Catholic education something else would have risen in its place. The appeal of individual school governance, similar to the charter schools, would have always been strong. Catholic education has changed dramatically from what it once was. The biggest difference is that there are fewer faculties with religious vocations. The global shortage in nuns, priests and brothers is resulting in more lay faculty and administration. Last month Jesuit-run Loyola University hired a lay woman as its president. We congratulate the Christian Brothers for their centennial anniversary in Louisiana. The story is told of a former De LaSalle principal who one day, while in civilian dress, was asked if he had any children. “Yes,” the principal replied, “I have 443 sons.” May the spirit of the founders continue into the future.